This is one of the biggest stumbling blocks of medical reasoning. According to Stedman's dictionary etiology is the science and study of the causes of disease. How does one determine the cause of a disease? Take sore throat. First you determine its etiology, the microbe, then you select the appropriate antibiotic for eradicating it, and you have cured sore throat. Here is the catch. True, you know what triggered sore throat, and you regard the microbe as its etiology. Yet the process starting after microbe hit its target is only partially related to the microbe itself. 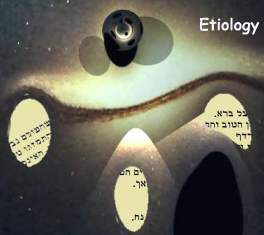 Understanding etiology does not warrant that you grasp the disease itself. Now imagine that the relationship between cancer etiology and disease is similar, what could you gain by understanding cancer etiology? More, some sore throats caused by streptococcus heal even without treatment. Now you know etiology and it is even irrelevant to cure. You might respond that sore throat is not cancer, and the analogy is false. Which illustrates yet another conceptual trap of modern medicine. Sore throat is a disease of the entire organism triggered by the microbe. Despite appearing localized in the throat, it is a systemic disease, involving many processes. Some like inflammation are localized in the throat. Other, like the immune reaction is systemic. The organism knows how to deal with the invader. It is capable of doing so even in the absence of the microbe. This knowledge, is called here the Wisdom of the Body (WOB), It anticipates the invader and is unrelated to etiology. The disease 'sore throat' is an interaction between microbe and organism. Although the wisdom how to handle the microbe is there, mobilization of protective resources may not meet the demands. Slow growing microbes are handled easily, yet when the bug proliferates rapidly; the organism lacks enough time for mobilizing protective means. The disease gets worse, and the patient needs help. Antibiotics generally slow down microbial proliferation. The organism catches up the demand and eliminates the microbe. Sore throat is an interaction between microbe and protective means mobilized by the organism. If microbe gains the upper hand, the organism needs assistance by an antibiotic; otherwise it handles the invader by itself. Medicine generally ignores the fact that sore throat is an interaction between two processes, breeding the false notion that the patient's fate is driven solely by its etiology, the microbe. Cancer, like sore throat, is an interaction between a cancer causing process (carcinogen) and protective means mobilized by the organism, that are generally ignored by medicine. According to medicine, the organism is utterly helpless, and may be rescued only by the oncologist. Cancer is generally defined as a tissue mass, or neoplasm, "an abnormal tissue that grows by cellular proliferation more rapidly than normal and continues to grow after the stimuli that initiated the new growth cease." (Stedman's Medical Dictionary). Yet cancer is more than that. Like sore throat, it is a systemic disease, involving local manifestations, like tumor, and systemic processes that are still unknown. Medicine prefers to ignore them equating cancer with tumor. Yet these processes are there. They are part of WOB and protect the patient all along the disease. They even succeed curbing it for a while but ultimately they are overpowered by it. Many patients survive cancer for decades, yet medicine attributes it to a relatively benign tumor. While in reality these patients (their WOB) learned how to live with cancer.